Charlene joined UKSIF in September 2013 as Programme Manager of the Analyst Programme with responsibility for catalysing debate on emerging environmental, social and governance issues and assisting members to develop their practice. Charlene is also responsible for UKSIF’s general campaigns and communications. Before UKSIF, Charlene worked on cause and policy-led campaigns and marketing for charities, think-tanks and campaign groups such as Centre for London, IPPR and 38 Degrees. Charlene has a degree in Politics and Philosophy from the University of York. Simon joined the British Heart Foundation in March 2013. Before joining the BHF, he was Chief Executive of the Multiple Sclerosis (MS) Society since 2006. Like far too many people in the UK, Simon has a personal connection with heart disease – his Father died of a heart attack in 1979. As part of the BHF’s ‘Fight for Every Heartbeat’, Simon runs and walks to raise money for the BHF’s work. He previously worked as Head of Operations at the Healthcare Commission, where he was responsible for the inspection of NHS and independent healthcare facilities in England. From 2000 to 2004, he was Director of Operations at the Charity Commission, modernising the regulation and support of the 180,000 registered charities across England and Wales. His earlier career was with the Royal Navy, including time as Commanding Officer of HMS Sheffield and as an advisor to government ministers. 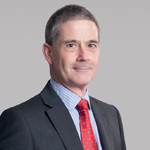 Simon has extensive experience of charity and non-profit governance, and as a non-executive director/trustee. He is currently the President of the European Heart Network and a trustee of the Institute for Security and Resilience Studies at University College London. He holds degrees in Philosophy and Political Science (MA); Business Administration (MBA); and International Relations (MPhil). Paul Glazier is Head of Corporate Partnerships at Alzheimer’s Research UK and has over 12 years’ experience working in Corporate Fundraising. He has previously worked at Macmillan Cancer Support, Breakthrough Breast Cancer (now called Breast Cancer now) and Cancer Research UK. During this time, Paul has developed sector leading partnerships with some of the largest companies in the UK through innovation, commercial understanding and a passion for improving the lives of people affected by Dementia and Cancer. Jo Goddard is the founder and lead consultant of Green & Good Consulting, a sustainability consultancy working with major global organisations. 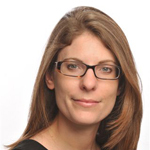 Jo has over 10 years of sustainability experience having led teams and delivered programmes at Aviva, Old Mutual and Barclays. Her current clients include Sky, The City of London Corporation and Lloyds of London. As well as broad sustainability in business expertise, she has a deep knowledge of human rights and environmental issues and has sat on the UK Equality and Human Rights Commission Working Group for Business and Human Rights and at UN forums on human rights and environment issues. She has a Masters in Environmental Assessment and Management from the University of Brighton and is a Prince 2 Practitioner. She is a Board Advisory Panel member for Heart of the City. 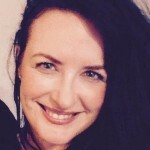 As the Founder and CEO of her own advisory business, Intelligent Ethics, Tracey is passionate about how developing Leaders define and embrace what ‘doing the right thing’ means to them using behaviours, culture and trustworthiness as critical levers for change and placing customers at the heart of doing sustainable and responsible business. Through her work she enables leaders of organisations to unlock high performance and business integrity by designing and delivering leadership development programmes, enhanced risk-based corporate governance frameworks and cultural assessment reviews with business ethics, trust, behaviours, corporate purpose and values at their heart. 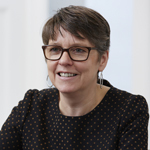 Gillian McKay leads the Charity and Voluntary Sector specialist interest groups and is Head of Charities at ICAEW. 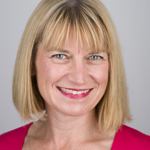 Gillian is a qualified ACA and holds ICAEW’s Diploma in Charity Accounting. She is a qualified tax advisor and is a specialist in charity and not for profit finance and taxation. Prior to joining ICAEW in 2014, Gillian split her working life between working in charities in accountancy practice and finance roles in the sector. She is well placed to understand the needs of both members in practice and working in charities. 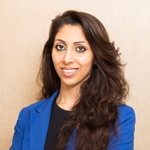 Natasha Mudhar is the Global CEO of Sterling Media, a multi-disciplinary, international business consultancy representing companies from SMEs to FTSE 100 companies. Awakening social consciousness, a personal passion of Natasha’s, has also resulted in steering Sterling Media in supporting organisations such as the United Nations, NGOs, campaigners and thought-leaders across a number of sectors. Natasha launched WWW – Worrld We Want to unlock the collective impact of people, ideas, networks and technologies to accelerate the pace of progress towards achieving the UN’s Sustainable Development Goals. The company has been established with the aim of tackling some of the world’s major issues to truly live in a world we want. Greg Sage is Communications Director at Greene King plc, the UK's leading pub company and brewer. Greene King operates 3,100 pubs, restaurants and hotels, employing 44,000 people, with brands including Hungry Horse, Chef & Brewer, Loch Fyne and Flaming Grill. Greg leads external and internal communications and has responsibility for the company's Corporate Social Responsibility strategy. 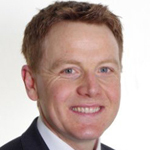 Greg joined Greene King in June 2015 after 13 years at Tesco where he held a variety of corporate affairs roles, including most recently as UK Community Director, with responsibility for the UK's community and charity programmes. 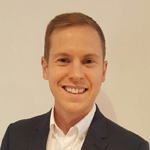 Starting his working life as a journalist on local newspapers, Greg has also worked in a variety of communications roles at Hearst Magazines, Express Newspapers, Sainsbury's and IPC Media. Charles Wookey is CEO of A Blueprint for Better Business. Prior to playing a central role in founding Blueprint, Charles worked in business and across government, in an economic think tank and, latterly, advised on public policy for a major faith institution. 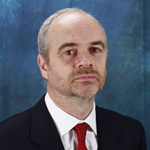 Nick Wright joined Swiss Bank Corporation (now incorporated into UBS) as a Fixed Income Derivatives Trader in 1989. In 1999, he assumed his role as regional Head of Community Affairs. UBS operates a vigorous and long-standing programme of Community Affairs focusing in particular on the areas of Education and Entrepreneurship. Nick has overseen the development of this multi-award winning programme both regionally and globally. It is notable for innovative and long-term partnerships with voluntary and third sector organisations and significant and sustained Employee Volunteering. 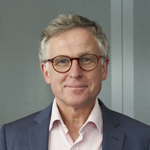 Nick sits on the bank's UBS & Society Operating committee, he recently stepped down as Vice Chair of Governors at The Bridge Academy, Hackney although he remains the "Sponsor Governor" and sits on a number of external bodies and boards. He is married with two young sons and has a BA in History from Oxford University.